Welcome again! 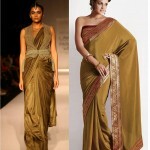 This blog is all about the designs shown by the top most Indian designers at Lakme Fashion Week Winter/Festive 2013 runway. We have singled out the best picks from designers’ collection-box along with our similar outfits which you can order online. The last day, Day 5- 26 March, 2013 Archana Kochhar Designer Archana Kochhar brought highways, footpaths, zebra crossings motifs on sarees and salwar kameez. Get similar quirky trends from our collection here! 25 March, 2013 Day 4 Farah & Firdos The duo presented Bright bridal collection favored by Indian colors! Get similar style lehenga here! 24 March, 2013 Day 3 Bhairavi Jaikishen Sunny colors with floral embroidery in saree. 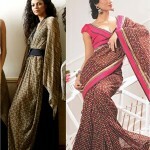 Get similar saree. 23 March, 2013- Day 2 Pia Pauro Tiny colorful tribal embroidery against light colored background. 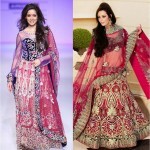 Get similar style in salwar kameez.